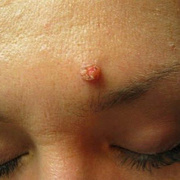 and by household way – through clothing, personal hygiene products, household items etc. 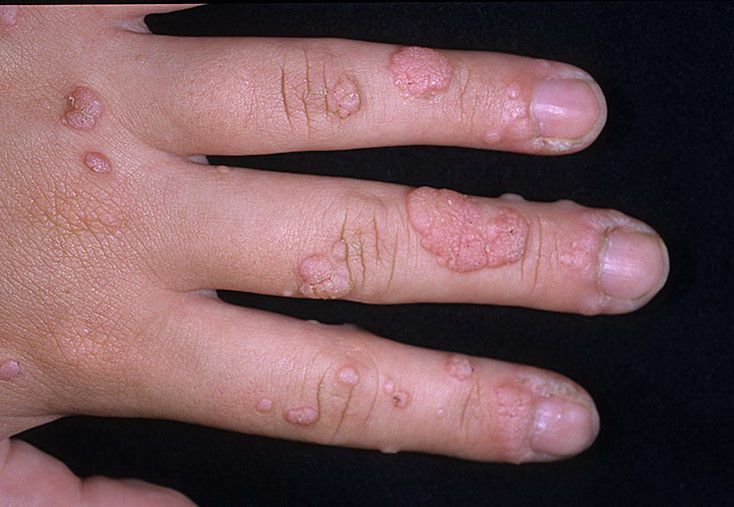 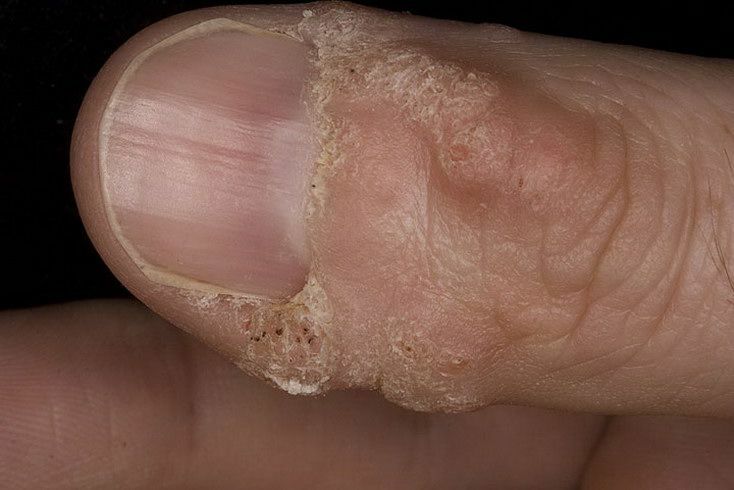 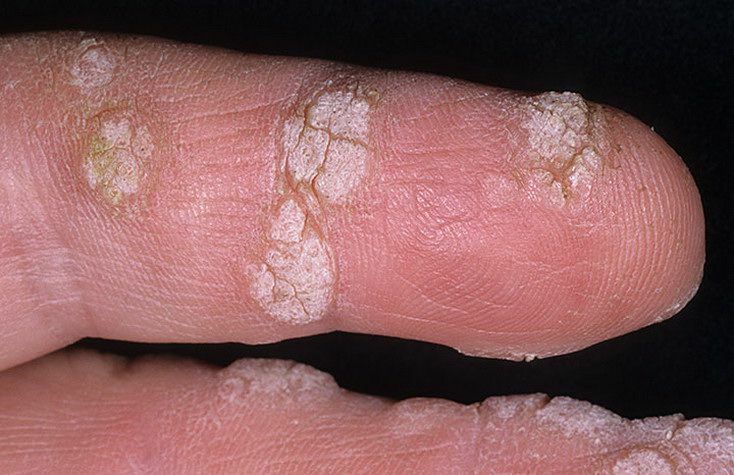 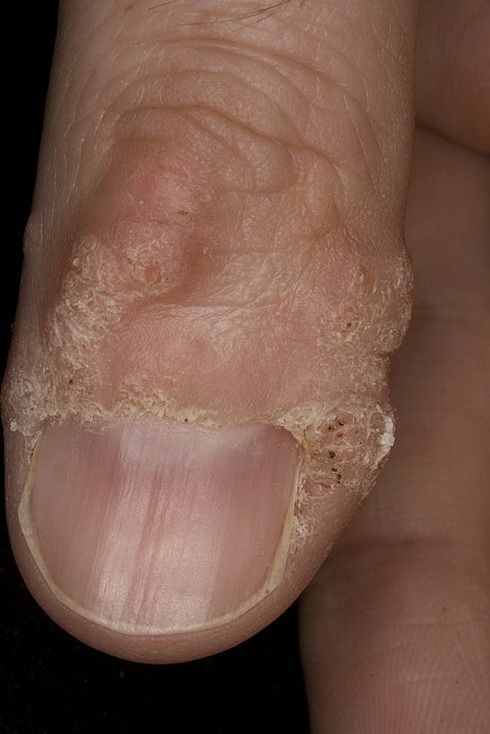 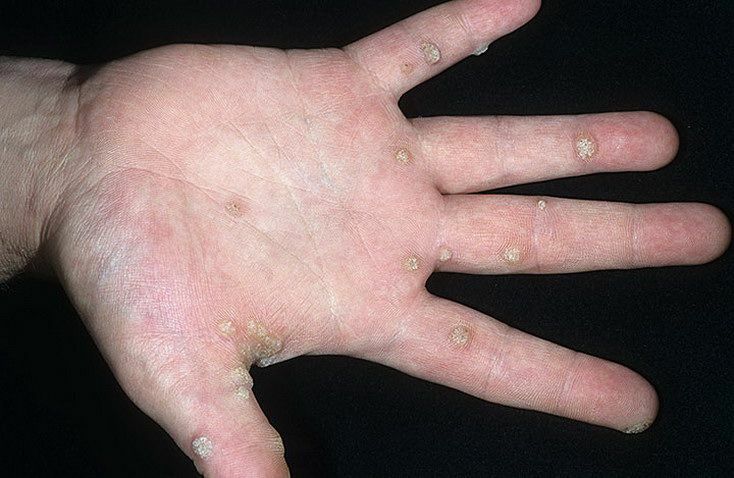 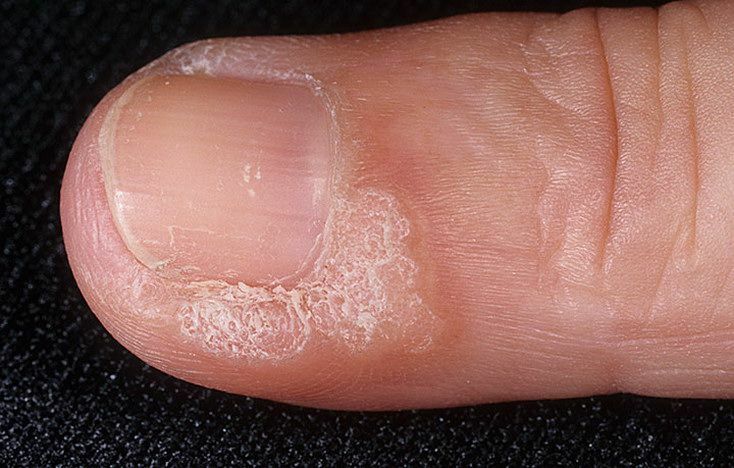 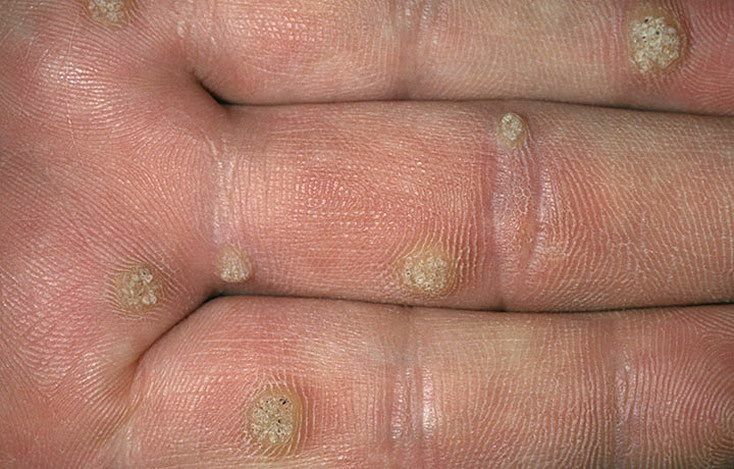 Most often, they appear on the fingers, palms, back of the hands, very rarely they are formed in the mucous membranes and face. 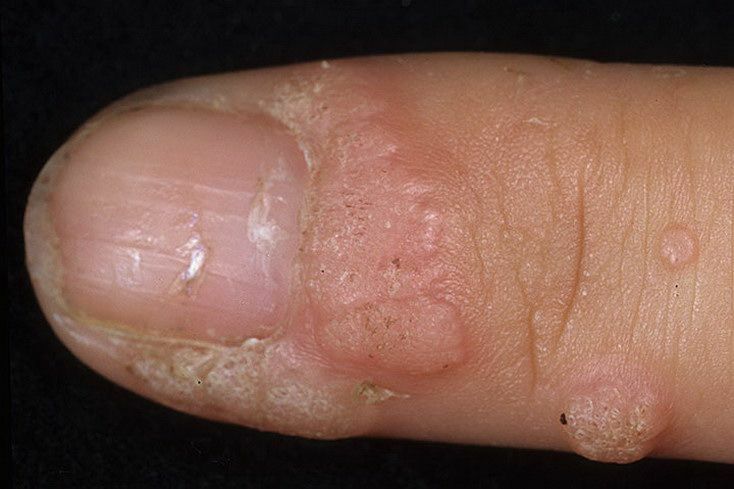 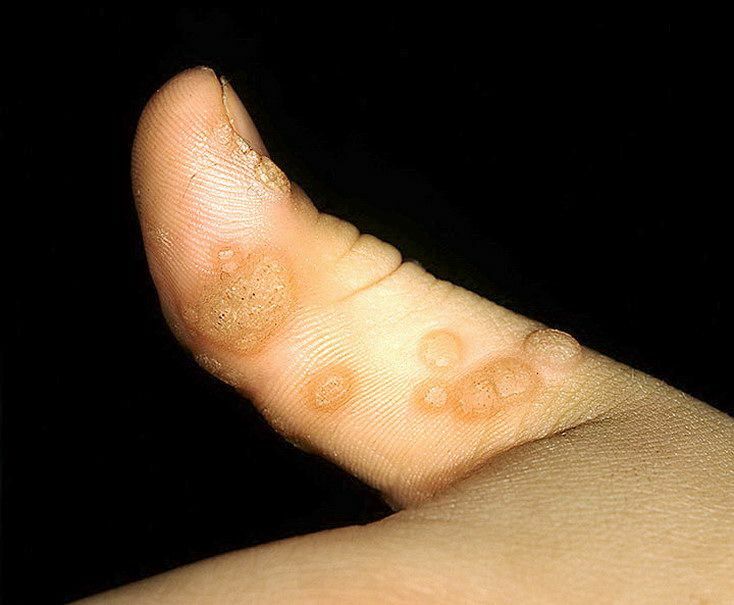 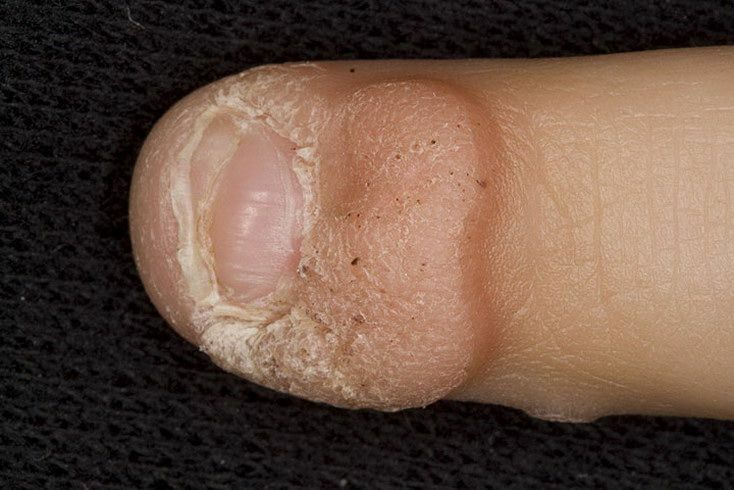 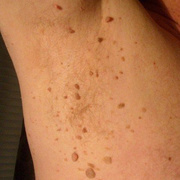 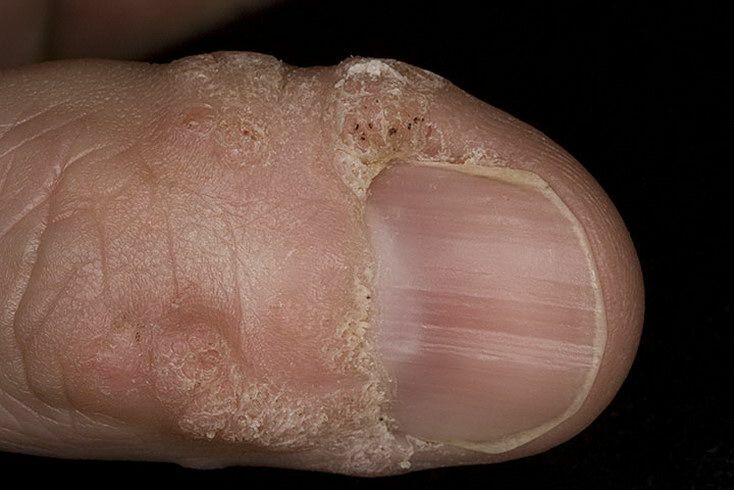 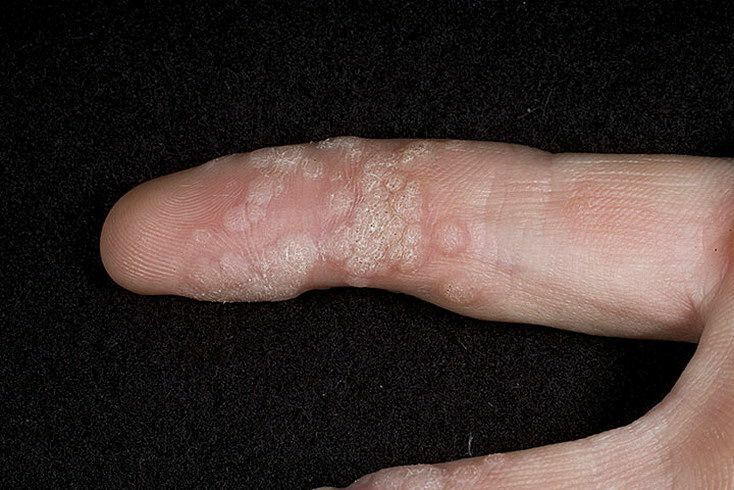 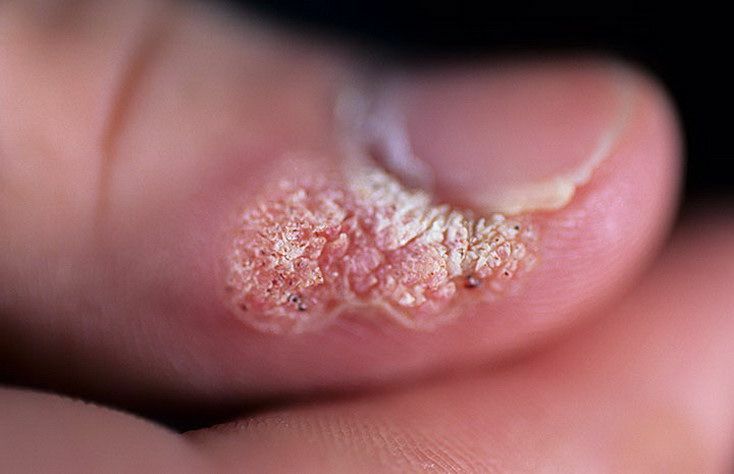 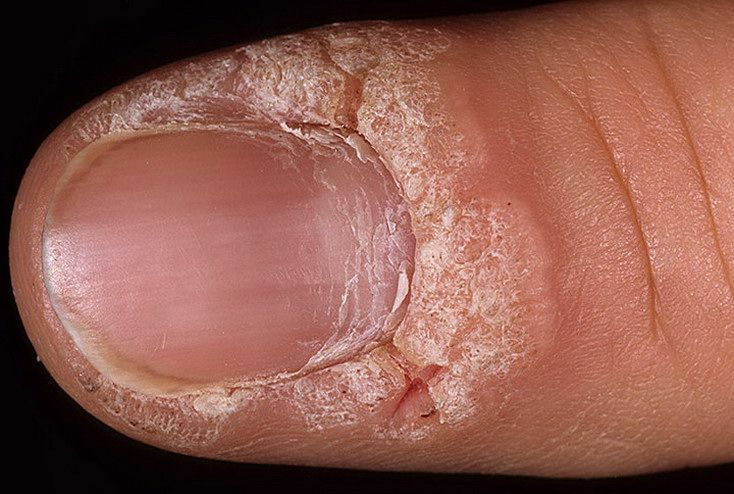 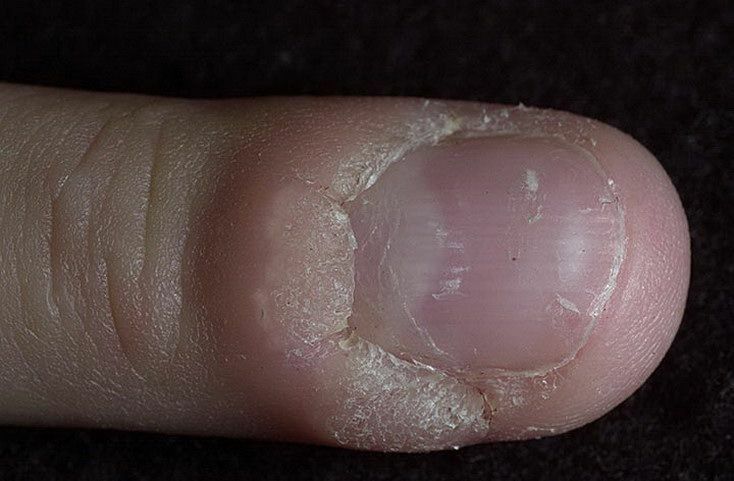 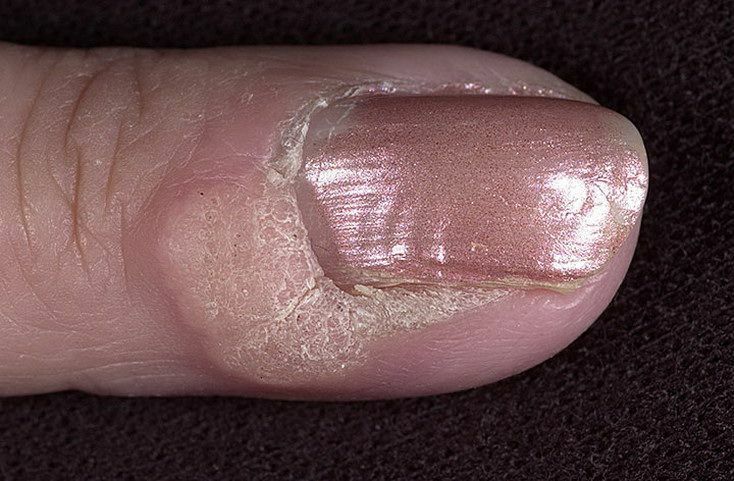 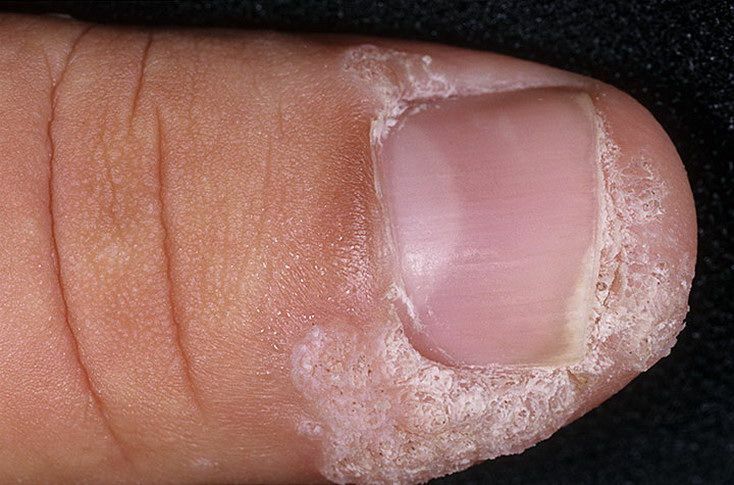 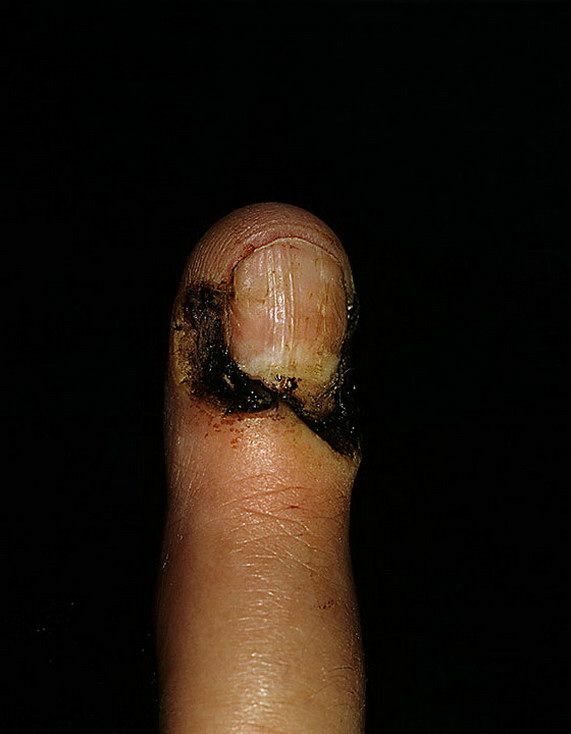 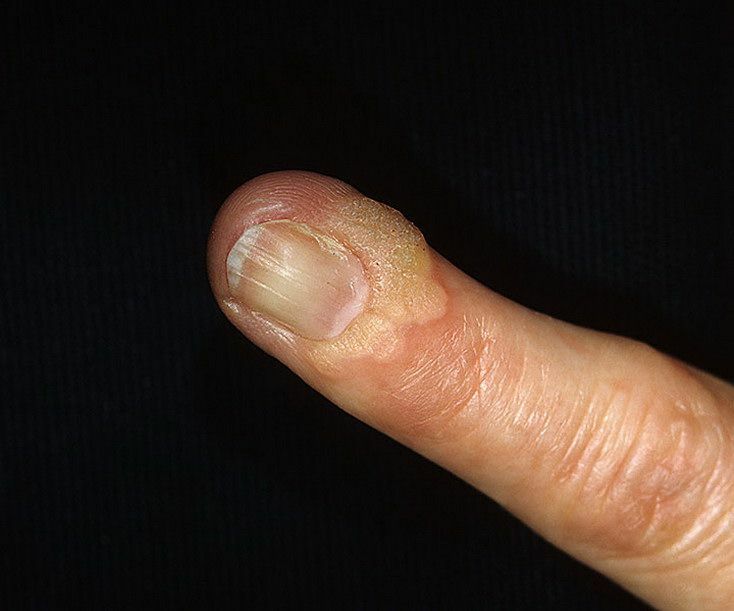 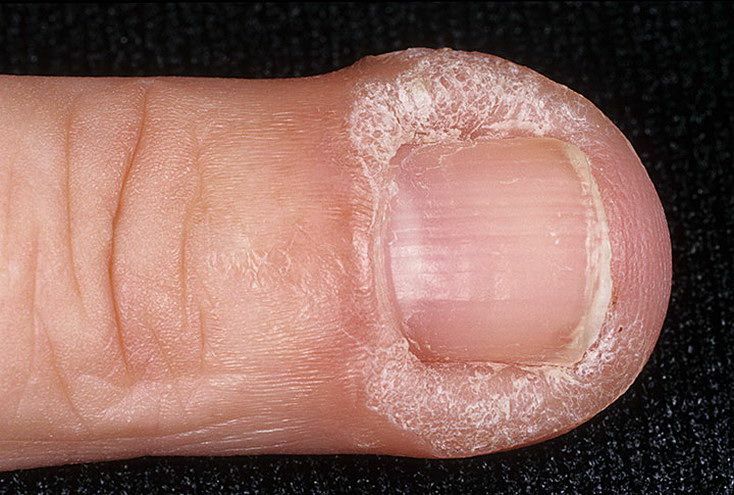 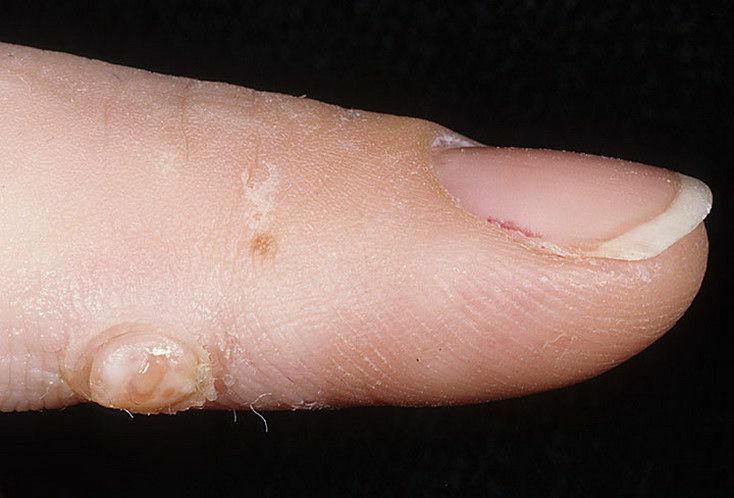 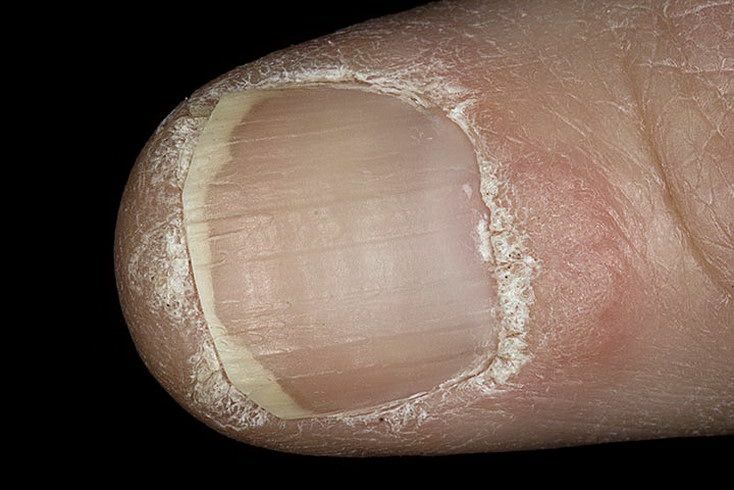 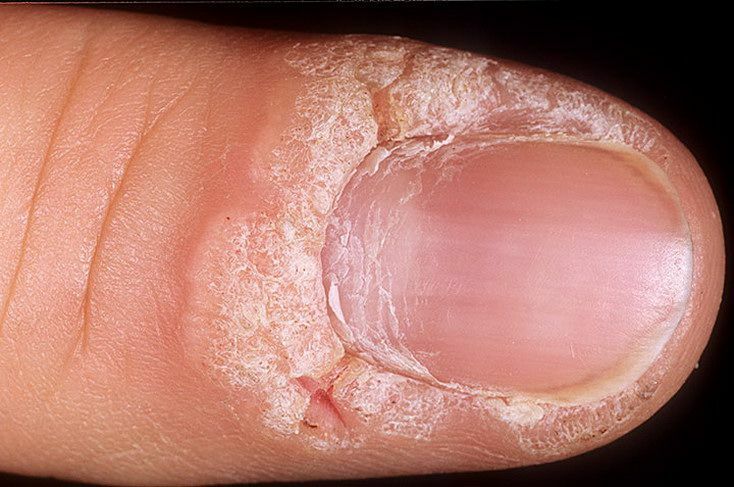 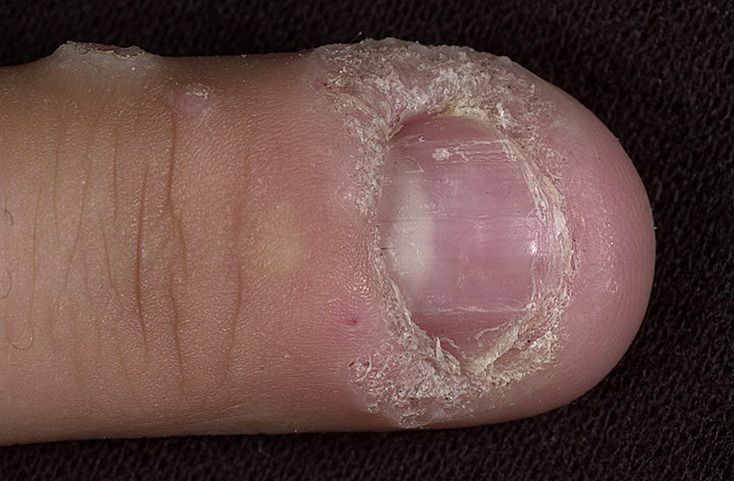 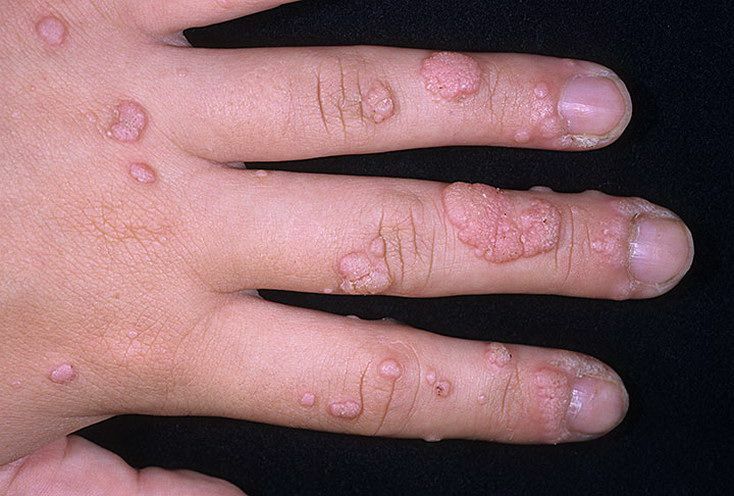 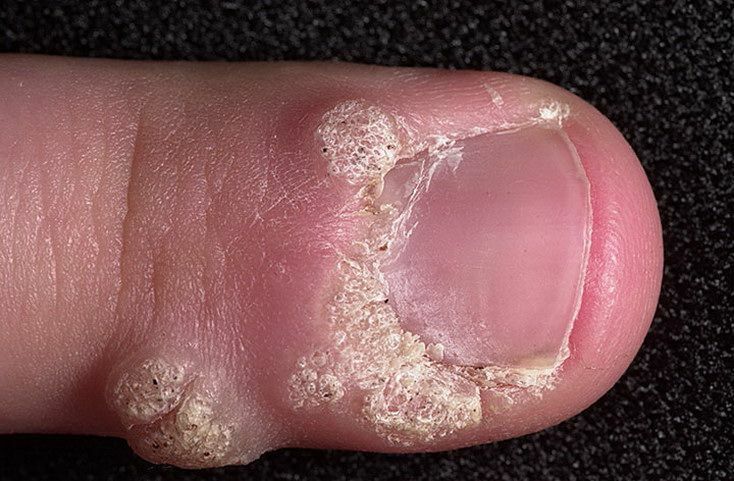 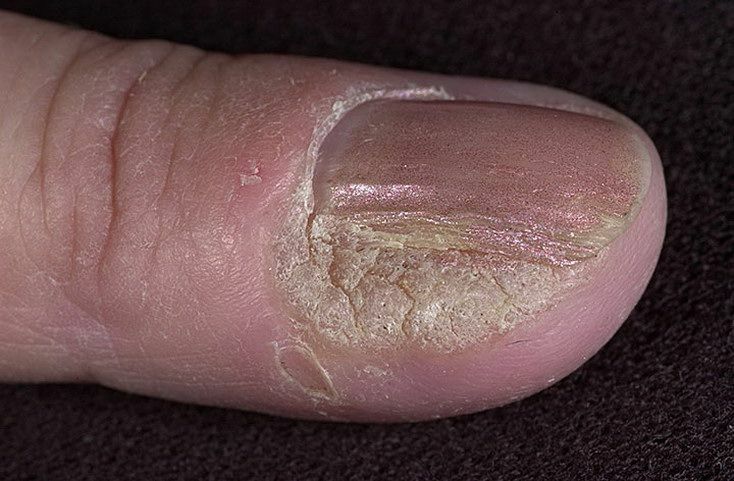 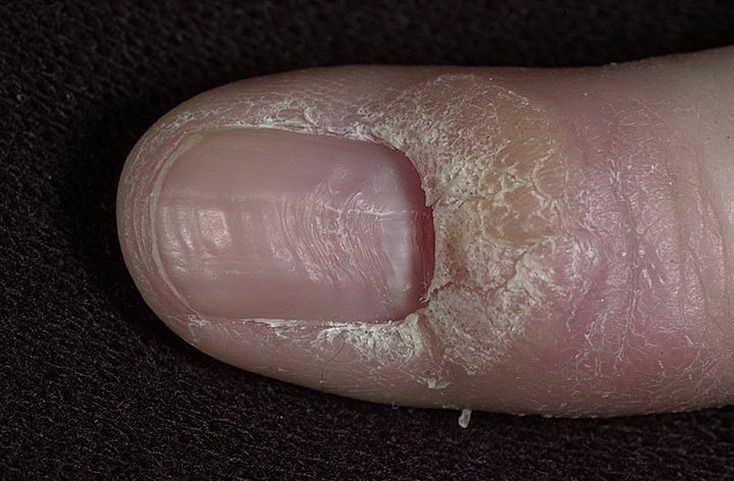 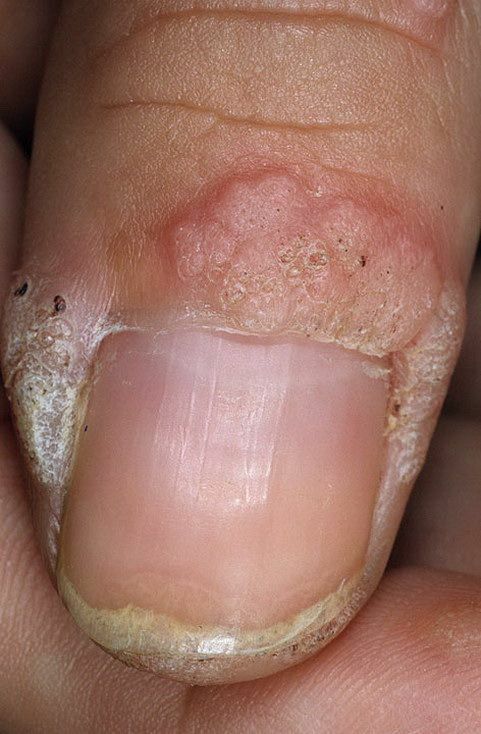 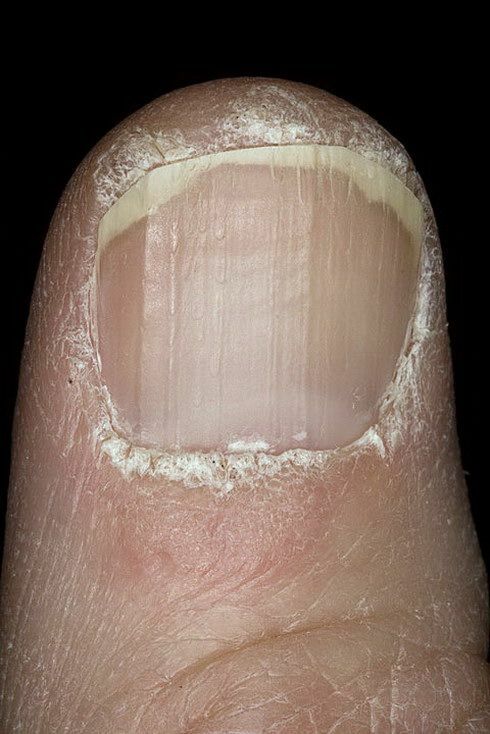 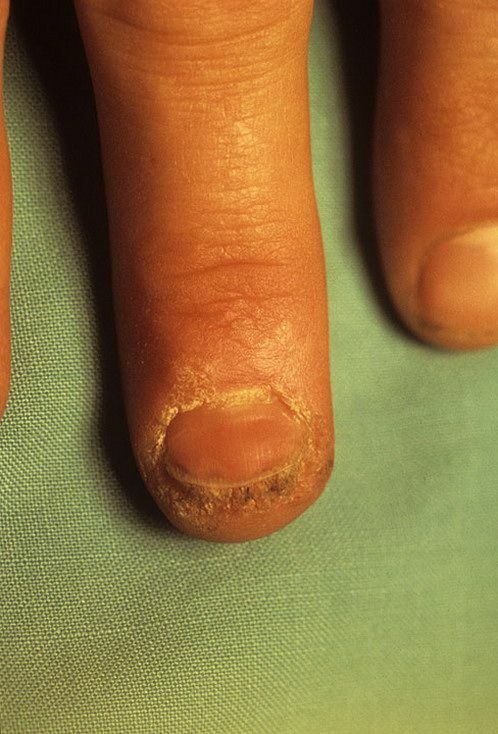 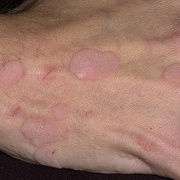 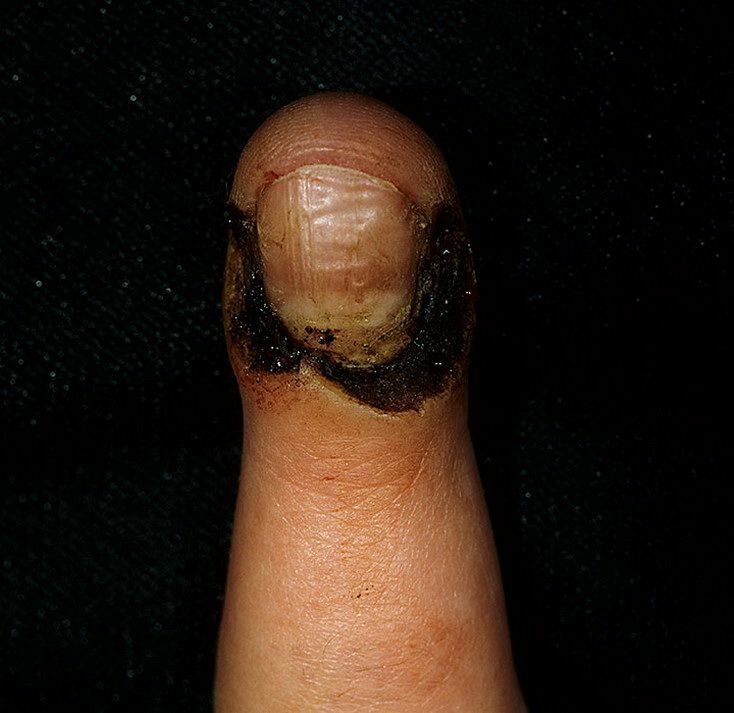 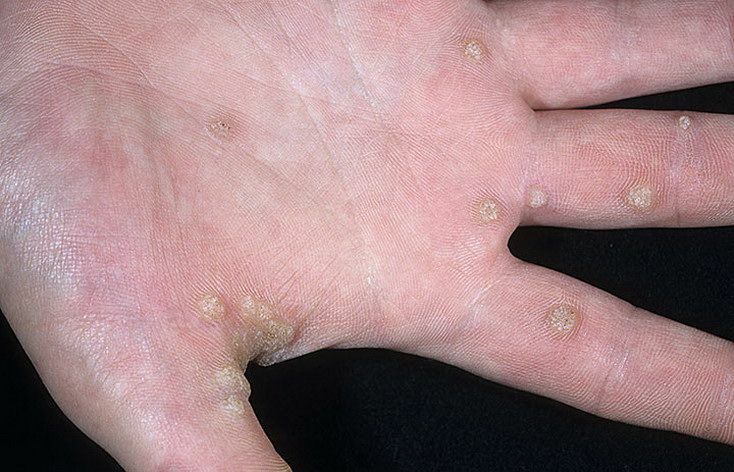 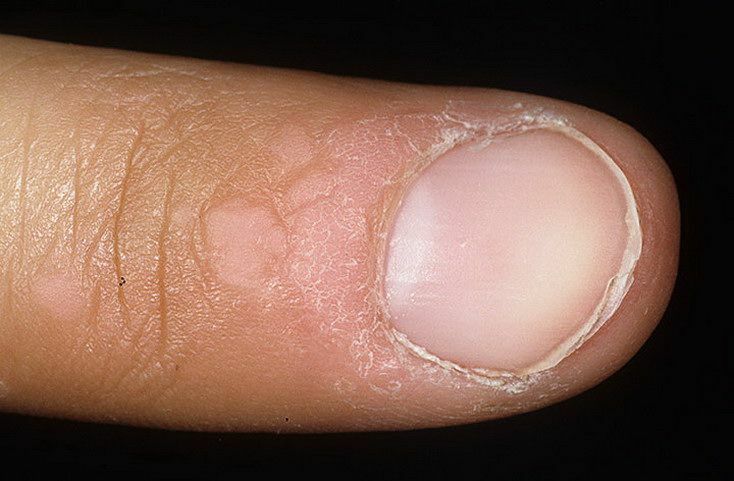 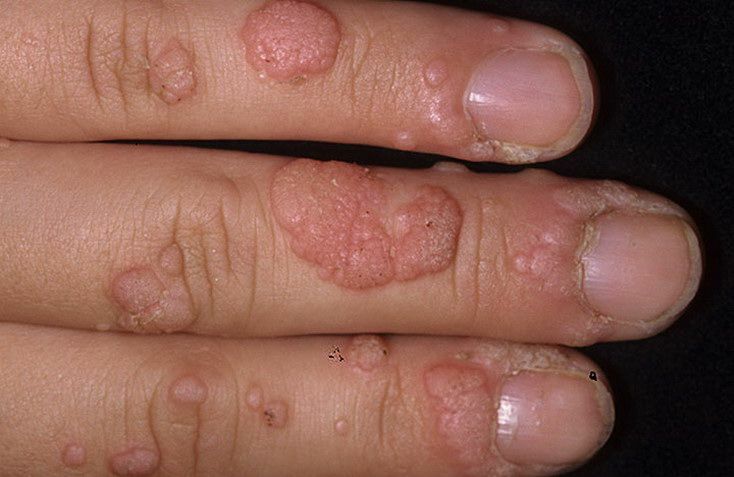 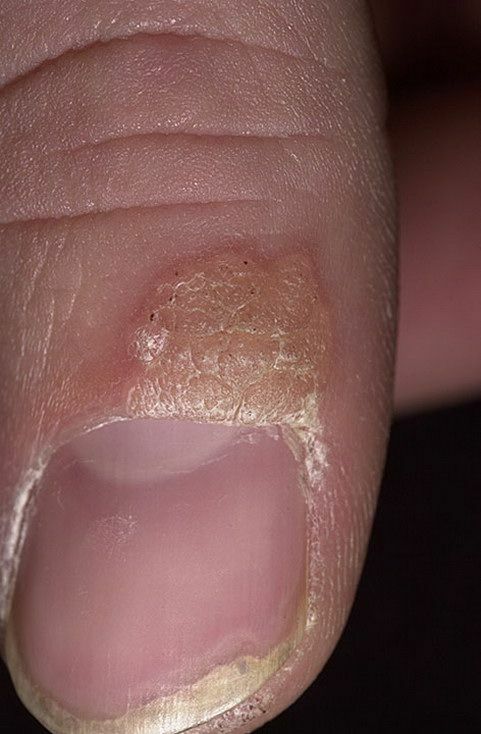 It is the most common type of Verruca vulgaris, they cause up to 70% of all skin growths. 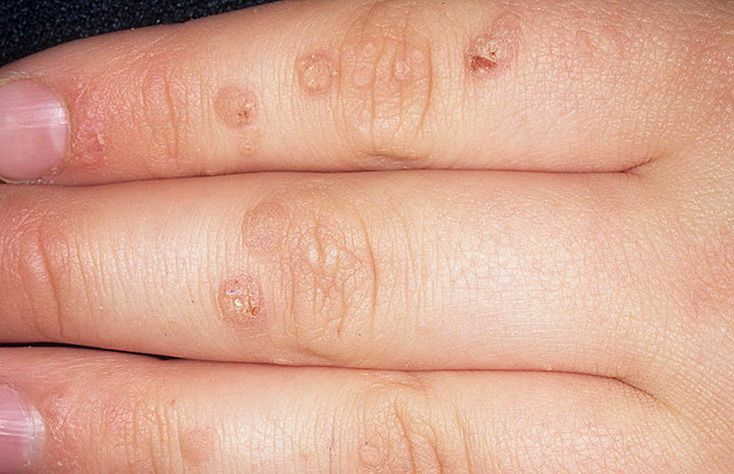 They look like dense, rounded nodules of 0.3 to 1 cm in diameter, of different colors, in some cases they have the same color as the skin, and sometimes they can be pinker, yellowish, darker or light brown. 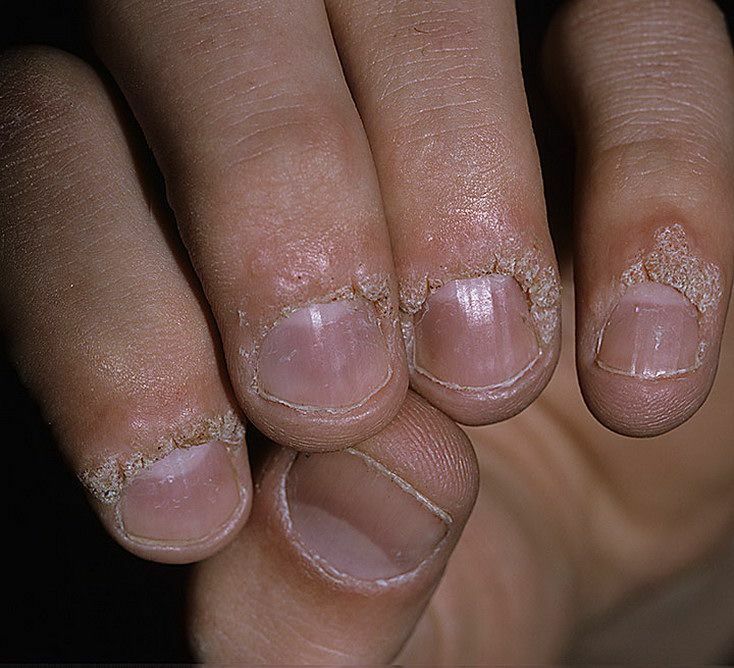 By touch they are not smooth, not plain, but rough. 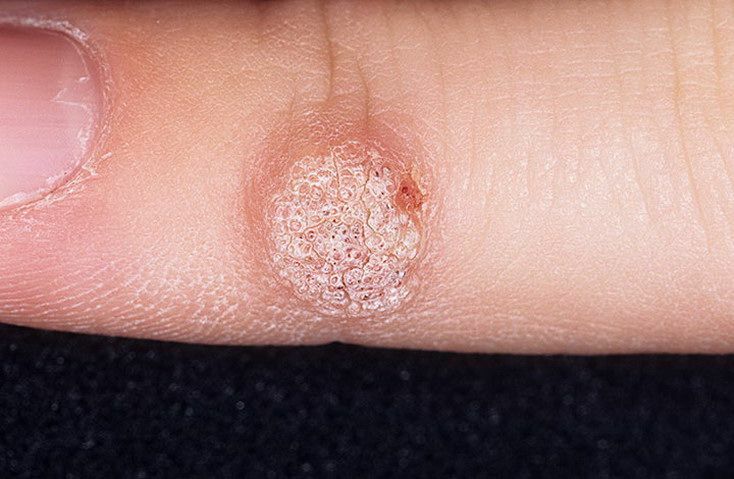 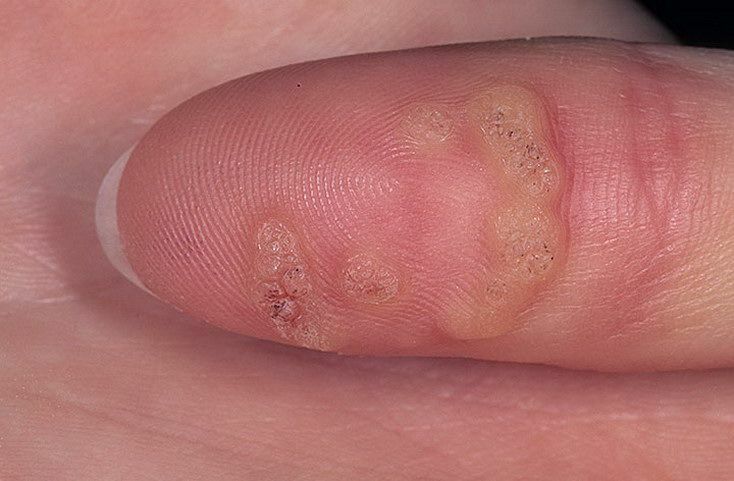 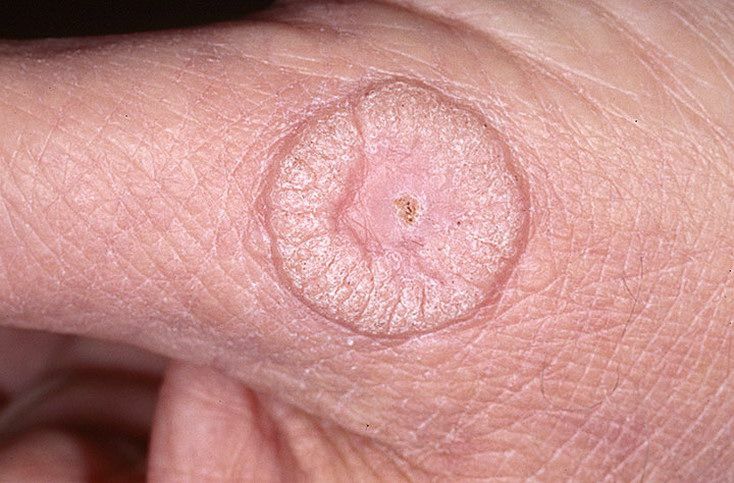 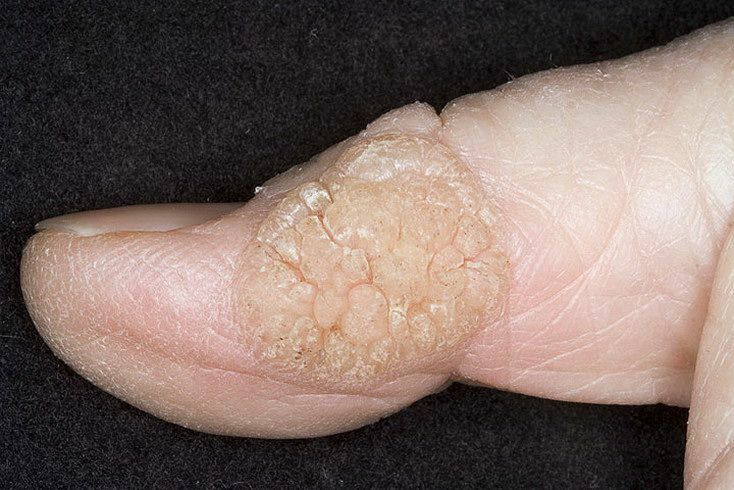 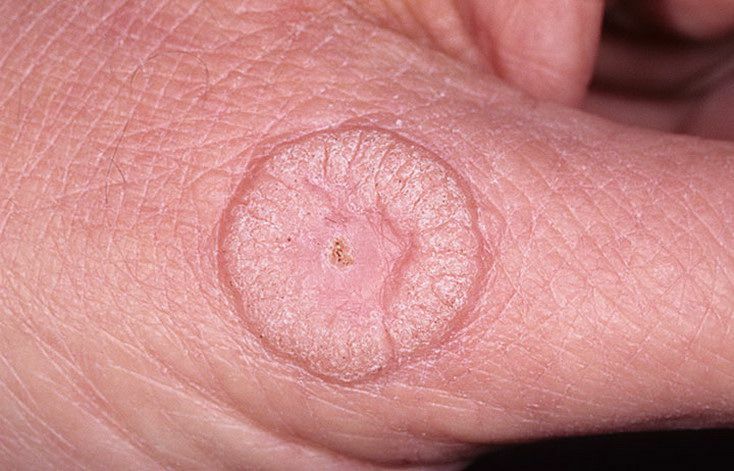 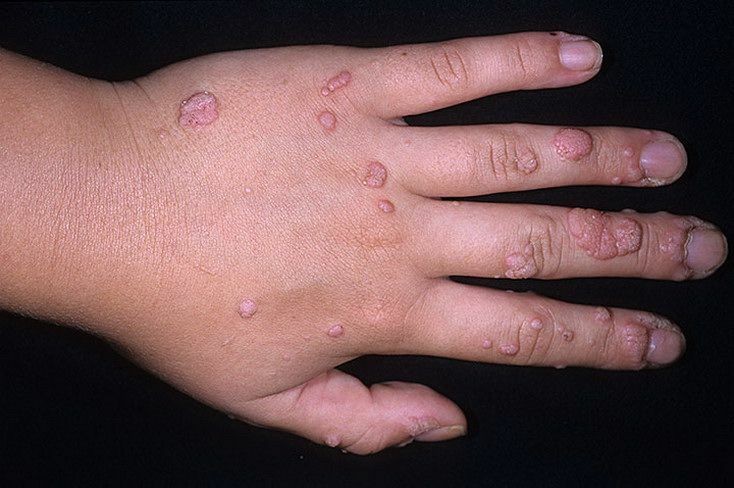 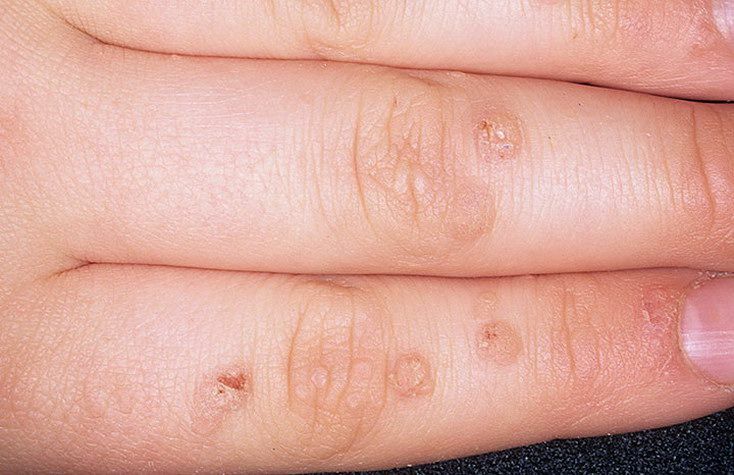 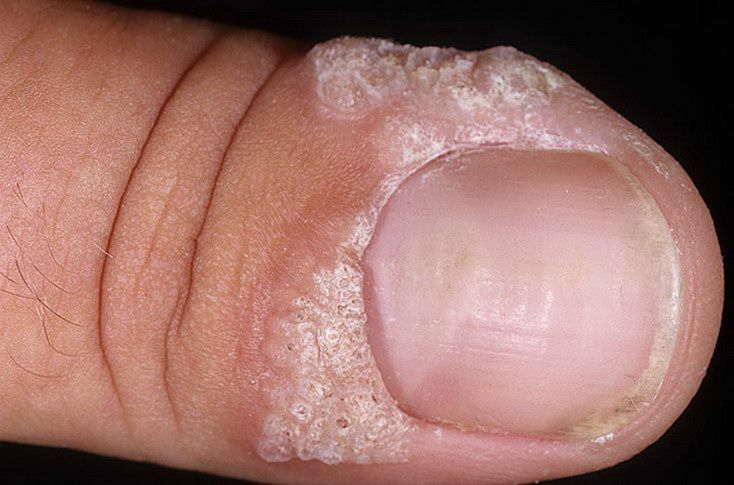 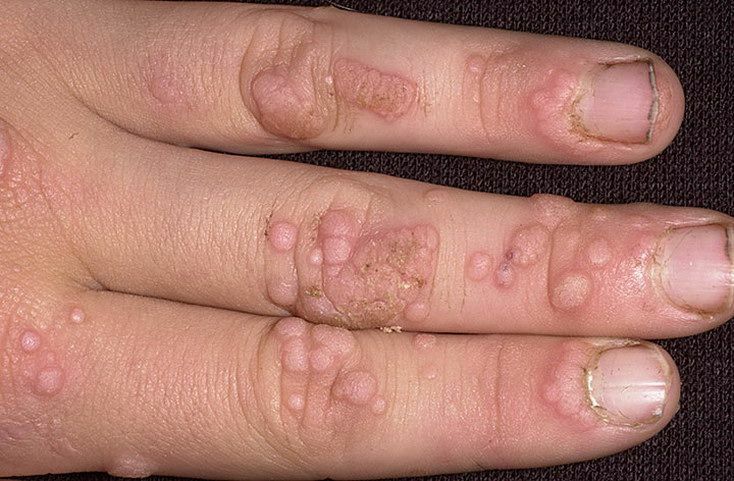 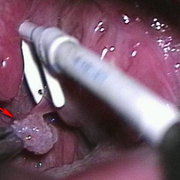 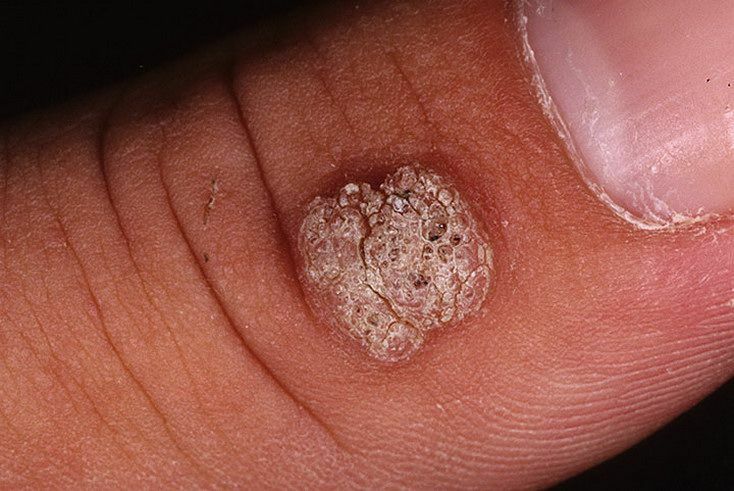 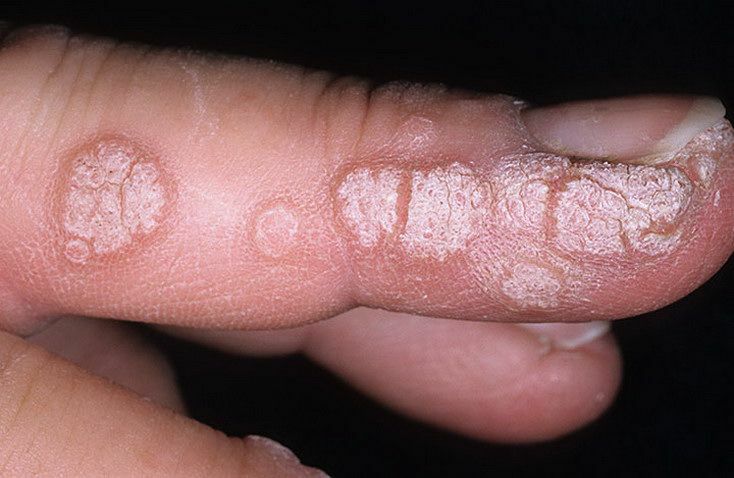 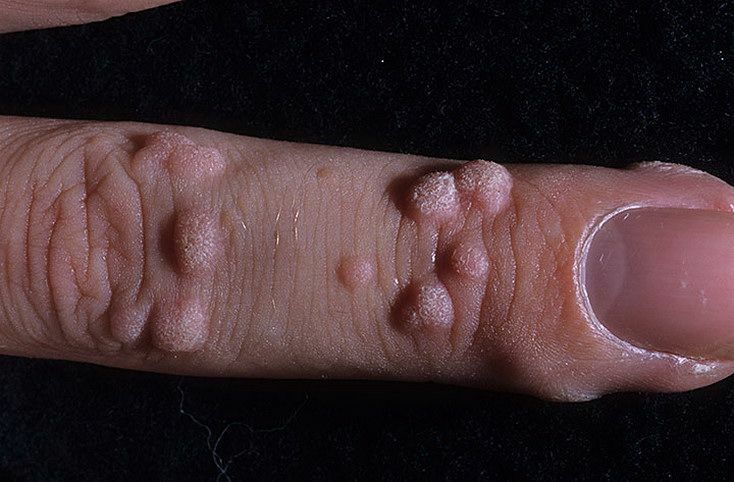 Typically, development of the virus is manifested by multiple growths, when there is the largest parent wart and many smaller warts around. 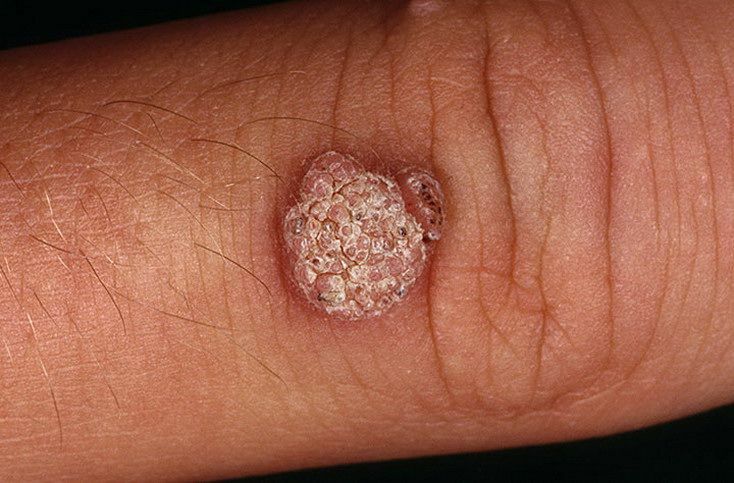 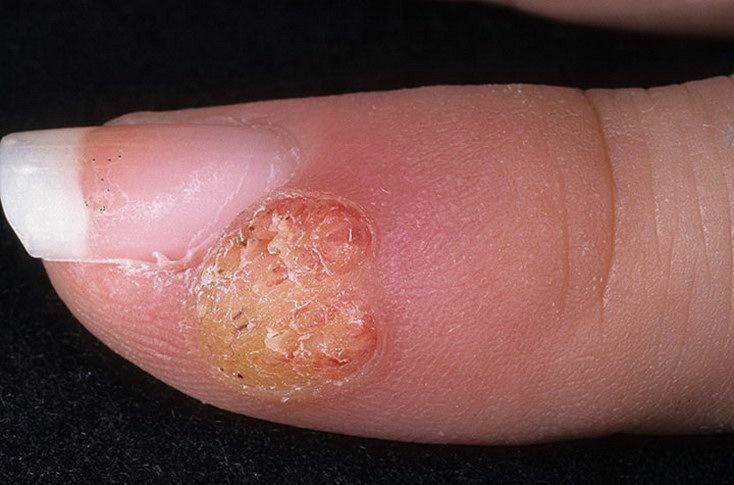 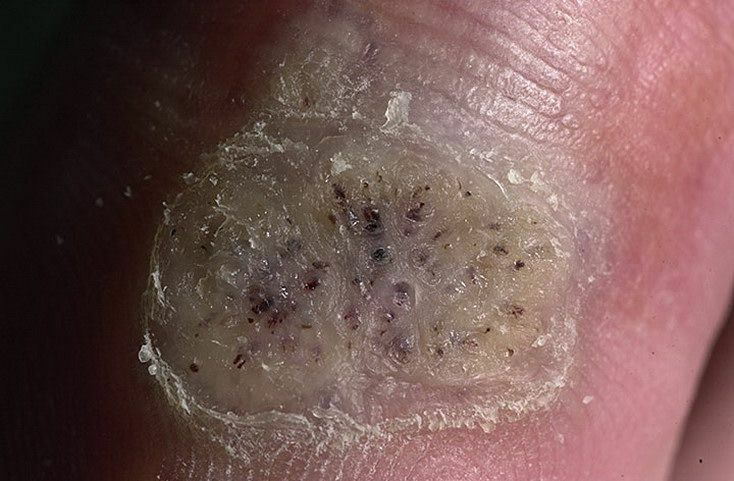 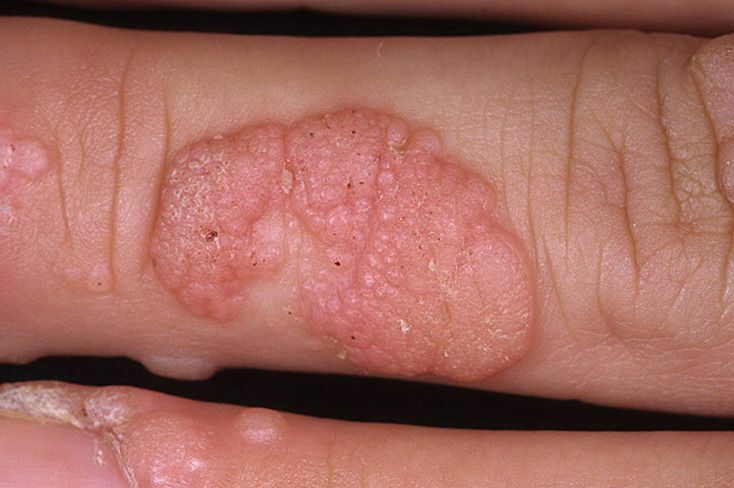 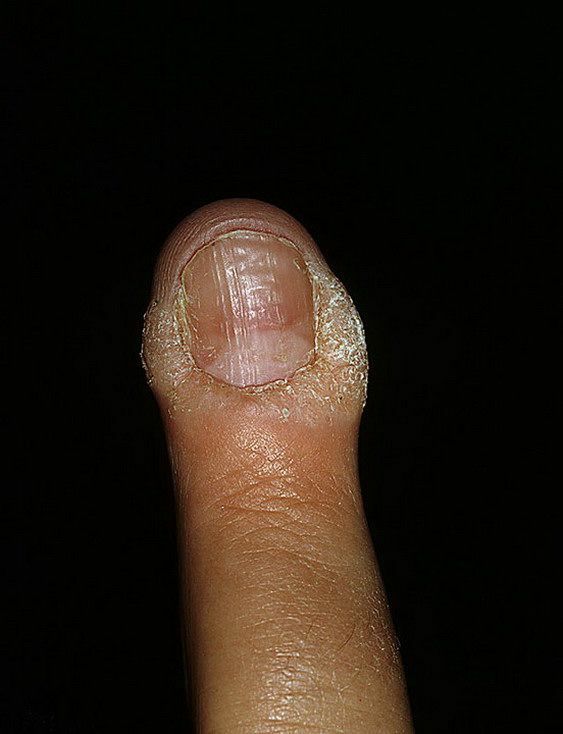 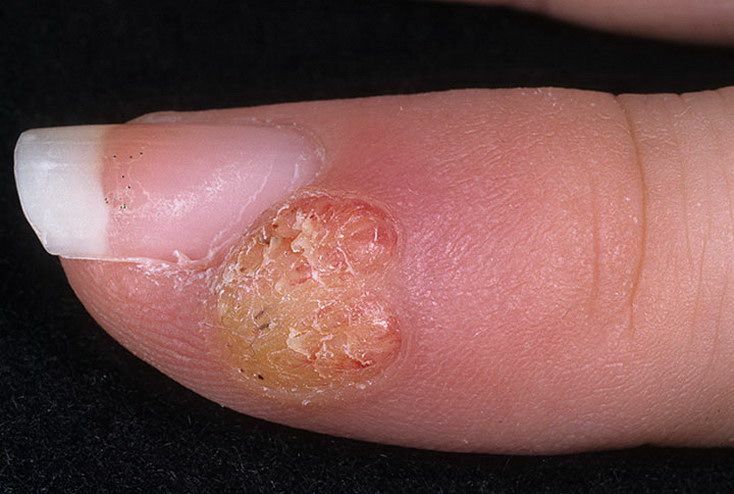 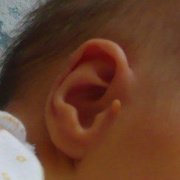 If you remove the parent wart, the rest can disappear by themselves.